In his 2017 New Year’s Address, Kim Jong Un mentioned (among many other things) that North Korea had “entered the final stage of preparation for the test launch of intercontinental ballistic missile.” It should be noted that this was neither the focus of his speech—which, for the most part, was a list of last year’s accomplishments—nor was it an announcement that a test would occur any time soon. Quite possibly, it was a signal to the new dealmaker-in-chief of the United States that North Korea might be ready to make a deal: to not conduct the provocative test for the right price. Still, we should consider the possibility that a test may occur in the near future. In which case, how might this happen and what might it mean? First, any “test” that takes place so soon after such a high-level political announcement is probably no test at all, but a demonstration. A test is an experiment, an attempt to determine whether or not a new system will work, and if not, why. A demonstration is meant to prove to a skeptical audience that, yes, North Korea does have a workable ICBM. Even if a test ends in failure and the North loses credibility it would still gain valuable information about why it failed and how to fix it. People tend to call their demonstrations “tests” to minimize the impact if they do fail, but Kim’s announcement means North Korean credibility will unavoidably be at stake in any long-range missile launch. Which brings us to the next question: which ICBM might they test? North Korea has a family of road-mobile ICBMs under development, of which, the KN-08 and KN-14 might be ready for a real test of the sort that often leads to politically embarrassing failures. It also has a proven space launch vehicle, the Unha-3, which could be pressed into service as a crude ICBM. An ICBM variant of the Unha could be sufficiently similar to the space launch vehicle in that it would be very likely to succeed, making it a good candidate for a political demonstration even though the Unha would make for a poor missile. A demonstration launch of an Unha-based ICBM would, at first, look very much like a satellite launch. The rocket would be assembled, checked out, and fueled over a period of several days at the Sohae launch facility. The launch would follow a trajectory similar to a satellite launch, probably aligned to avoid overflying any of North Korea’s neighbors. The first technical indication that anything was different would be the low acceleration of the upper stage, carrying a reentry vehicle with enough ballast to simulate a nuclear warhead. Eventually, the simulated warhead would enter the atmosphere and impact some eight to ten thousand kilometers downrange. The reentry event would be the only part of this exercise that would qualify as a real test, as North Korea has never demonstrated an ICBM-class reentry vehicle before. If they are conservative in the design, there is little chance that it would fail outright, but the accuracy on the first launch is likely to be poor. North Korean engineers would certainly want to have a ship stationed near the impact point to gather data, and we would certainly hope the United States Navy is keeping a close eye on where the North is stationing its ships. Pyongyang might also test a new upper stage with a more powerful engine, better suited for carrying heavy warheads. They might test an accelerated launch procedure, with hours rather than days of preparation. Such changes would increase risk, however, and even then, they wouldn’t really demonstrate anything we haven’t already known for years. The Unha rocket works, it can be adapted to carry warheads instead of satellites, but it can only be launched from large, fixed sites that can be monitored for signs of an impending launch. If it were seen as a real threat, it could be preemptively destroyed. It is more useful as a space launch vehicle, and North Korea seems to genuinely want a space program as well as an arsenal of missiles. 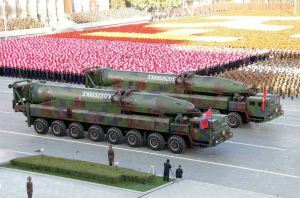 If the North Koreans really want to impress anyone, and particularly if they have any hope of their space program being seen as a peaceful endeavor that might escape the political and economic sanctions imposed on North Korea’s missile programs, they will want to demonstrate their ICBM capability using a KN-08 or KN-14 mobile missile. Moreover, it is more likely that they will test when they are ready to test rather than risk repeating the recent experience of demonstrating the Musudan intermediate-range missile which resulted in an embarrassing record of six or seven failures out of eight launch attempts. In any case, the first test of an entirely new multistage missile whose main engine has only recently been demonstrated on the ground will almost certainly end in failure. Nevertheless, even a failure might put the North on a path to success. This is literally rocket science, one of the archetypal hard problems, and success can only be achieved through perseverance. The first American ICBM, the SM-65 “Atlas,” failed 26 seconds into its maiden flight. Eight tests were conducted over the course of a year, with only two being fully successful. The first all-up test of the competing SM-68 “Titan” was even shorter, exploding on the launch pad. The Titan scored only one success in its first six launches. However, both missiles entered operational service within two years of their initial, disastrous flight tests, and proved adequately reliable in service. Russia’s early experience with ICBMs was similar, though some of the details are still hazy. We should expect North Korean ICBMs to follow a similar path—a series of early failures leading to an operational capability even with a spotty testing record. There might be a somewhat slower pace of testing with a North Korean ICBM since the high pace of testing in early US and Soviet ICBM programs was a sign of desperation, not wanting to be on the wrong side of a “missile gap” by showing up late to the ICBM party. Even under the best of circumstances, it usually takes an engineering team at least three months to verify that they understand why a long-range rocket exploded and develop a fix they can be confident in. If missiles are being tested every month and usually failing, this means someone is willing to destroy large, sophisticated rockets on little more than an educated guess at a solution to the last test’s problem. That’s a very expensive way to gain a few months’ edge in an arms race. North Korea has traditionally conducted large rocket tests at intervals of six months to a year, a slower but more efficient process that gives their engineers time to do their jobs properly. Recently, as with the Musudan, the North tested at the sort of pace we demonstrated in the early Cold War. We can guess at what might drive such desperation, but it seems unlikely that Pyongyang can afford to keep up that pace in a full-scale ICBM development program. Its aerospace industry hasn’t demonstrated the production capacity needed to test an ICBM every month. One test every three to six months would be more realistic, at least in the long run, so this is not a process that will be completed in 2017. If North Korea wants the tests to succeed, or at least to learn as much as possible from the failures, it will also conduct them at existing launch sites and on their usual trajectories. Even if they use a mobile launcher, as the KN-08 and KN-14 likely will in operation, the North will want to have the full support facilities and technical staff of an experimental test facility close at hand for the early flights. And, since at least one of the failed Musudan tests apparently destroyed an expensive mobile launcher, conducting the first few tests from a heavy steel gantry on a concrete pad would be preferable. It is likely that the North Koreans will launch on a trajectory that accurately represents a long-range missile flight, and with full coverage from tracking radar and telemetry antennas. They might choose a lofted trajectory, firing at a steep angle to reach a high altitude but a short range, as they have on some recent Musudan and KN-11 flights. The Unha’s upper stages don’t have the thrust for such a trajectory, but a KN-14 would and a KN-08 might. At ICBM velocities this would be technically challenging, particularly during the reentry phase, but is the only practical way to conduct such a test at reduced range while avoiding the need to send a tracking ship far out into the Pacific to monitor reentry. Several reports have suggested that the United States might respond to a North Korean ICBM test by simply shooting down the missile. The more responsible comments along these lines have limited the discussion to missiles whose trajectory directly threatens the US and its allies. However, North Korea is unlikely to “test” an ICBM by firing it at Los Angeles or Hawaii. In any case, currently the United States and its allies have a very limited ability to shoot down a test or demonstration flight of a North Korean ICBM. The US National Missile Defense system could probably do the job but it is based at fixed sites in Alaska and California and would be of no use in protecting US allies. The US, Japanese and South Korean navies all operate warships with the Aegis, meant for use against shorter-ranged missiles although under ideal conditions could be capable of shooting down an ICBM or even a satellite. However, shooting down something capable of flying as high and as fast as an ICBM would require an Aegis warship to be located very close to the missile’s trajectory during the first or last few minutes of its flight. If the North Koreans limit themselves to using standard trajectories from fixed launch sites we could probably position Aegis warships to shoot the missile down shortly after launch, albeit close enough that North Korea could easily harass them with its air or naval forces. And that problem gets much worse if the North tests from a mobile launcher at a remote site, or on a lofted trajectory, or if they are willing to overfly other nations. To have any chance at an intercept, Aegis ships would have to be stationed even closer to North Korea, in waters Pyongyang regards as critical to its national security. Do we really want to find out what happens if a US warship fires a large surface-to-air missile while a North Korean MiG is conducting a mock attack run? The MiG pilot may not understand the missile isn’t aimed at him. And even then, the attempt to shoot down the ICBM would probably fail because Aegis was never designed to do that under combat conditions, has never been tested in such a role, and would be operating at the edge of its theoretical capabilities. In short, North Korea appears to have three options. First, it could conduct a near-term demonstration using a modified Unha space launch vehicle fitted with a reentry vehicle large enough for a nuclear warhead. Such a test would likely work, gathering information related to reentry technology while putting an end to any pretense or hope of a peaceful space program. Second, the North could launch a KN-08 or KN-14 ICBM prototype almost guaranteed to fail, and fail repeatedly if it keeps launching rockets faster than its engineers can understand what is going wrong. 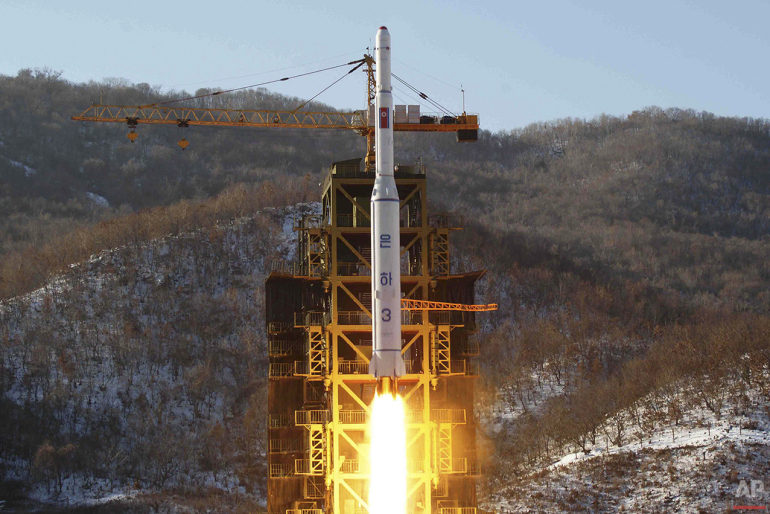 Or third, Pyongyang can conduct a serious test program characterized by launches at a reasonable pace, leading to deployments even before a full program is completed. Only in the very unlikely case that the North fires the test at the United States could the US reliably shoot it down.